Bartenders use a technique called floating to create layered cocktails and shots. It is very easy to learn and anyone can do it, all you need is some practice and a few tips to get started. Layered drinks have been popular for over a century. It began with a multi-layered dessert drink called the pousse-cafe. 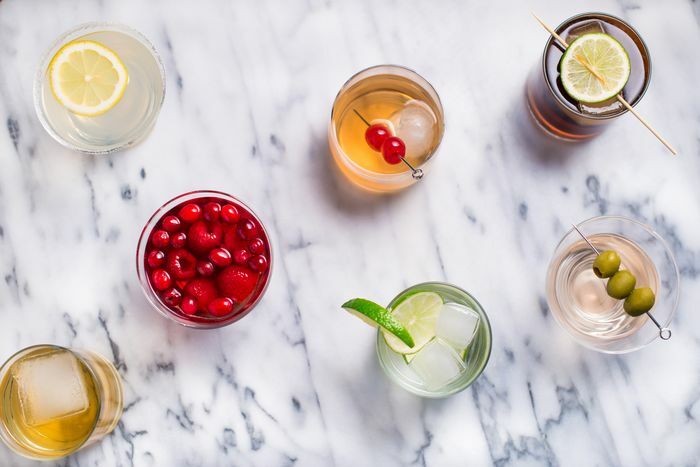 These could have five or more colorful and flavorful liqueurs layered in a glass. 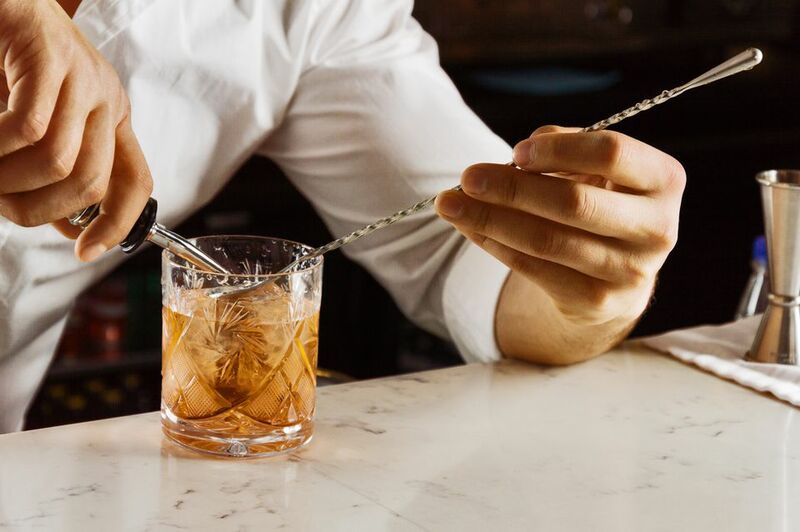 While those fell out of favor, the floating technique is still widely used by bartenders. Top a drink with a colorful accent, such as red wine or cream. Create a flavor experience as we drink, like layering two styles of beer. Be able to light a drink on fire with an overproof rum. As you will see, the technique is easy. The trick is to layer ingredients according to their specific gravity. This means that the bottom ingredient of your drink needs to be heavier than the top layers. The greater the density difference between two layers, the better separation you will get in the layers. Fun Fact: Grenadine is one of the heaviest liquids used in the bar and it almost always sinks to the bottom of a glass, even when it is the last ingredient poured. Grenadine's density is what makes drinks like the tequila sunrise and firefly so cool to look at. Floating alcohol or any liquid ingredient is not difficult and it is a great bartending technique to learn. Take your time and pay attention to how it feels when you get the perfect layer, then try to repeat that. It may take a few drinks to get it, but the blunders are just as enjoyable to drink. Begin with the heaviest ingredients in the bottom of the glass. In the case of layered shots like the B-52, this would be Kahlua. Baileys is next and Grand Marnier is last. In the case of mixed drinks that are topped with liquor, build the drink as the recipe recommends. For instance, mix the vodka, orange juice, and ice of a Harvey Wallbanger before floating Galliano on top. Hold a barspoon upside down over of the drink. While you can use any spoon, the bowl of a barspoon is thinner than the average spoon. It should fit inside most glasses, including shot glasses. The long handle also helps with balance and keeps your hand steady. Slowly pour the liquor over the back of the spoon and on top of the drink. Move the spoon up as the glass fills. This works because the spoon slows down the pour and disperses the top liquid, preventing the two from mixing together. If your layers seem to be mixing together, give them a minute. As the turbulence settles, your layers should become more defined. If your recipe requires multiple layers, simply repeat steps 2 and 3. Practice really is the best way to get the feel for creating clean layers. It can be a challenge at first, but it gets easier over time. To start, give a few simple layered cocktails a try, such as the Irish coffee or white Russian. Both use a cream float, which is one of the easiest ingredients to work with. To keep the layering effect, the drink should not be stirred. A chilled glass often works best. Also, if your drink does not include ice, it's best to chill the ingredients before pouring. A speed pourer can be helpful for slowing down the pour as well. This is particularly true if your liquor bottle is full and heavy. Some bartenders will put the tip of the spoon just under the first layer, which helps the liquid stay on top. Depending on your technique, this may help you as well. Layering can also be done with a syringe that is food-safe. It's not as professional (or cool) looking, but it is easier. Be sure to choose one with a larger hole.